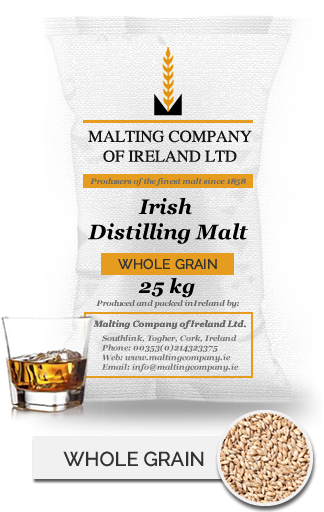 The combination of fertile soils, mild temperate oceanic climate and the long growing season all help to produce an Irish 2-row spring barley with very large plump kernels ideal for brewing. 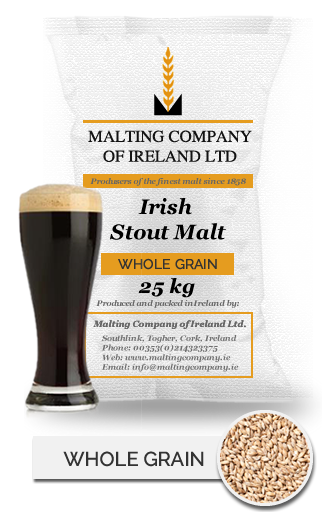 With a high extract content and enzymatic strength this malt has been specially developed to be combined with raw adjuncts to provide the foundation of many a pint of famous Irish stout. Being a mild flavoured malt it can add a smoothness and depth to a beer without being overwhelming on the palate. Having being developed with ease of conversion in the mash in mind it is extremely versatile and can be, and is, used in many styles of beer.